In an empty shaker or martini mixer, combine the gin, limoncello, lemon and cucumber slices, and the syrup. Mix and macerate all the ingredients for about 5 minutes. If making a large quantity, let it sit in the refrigerator in a pitcher for up to 12 hours. Fill the shaker with ice and shake vigorously for 1 minute. Strain and pour the liquid into a chilled martini glass. 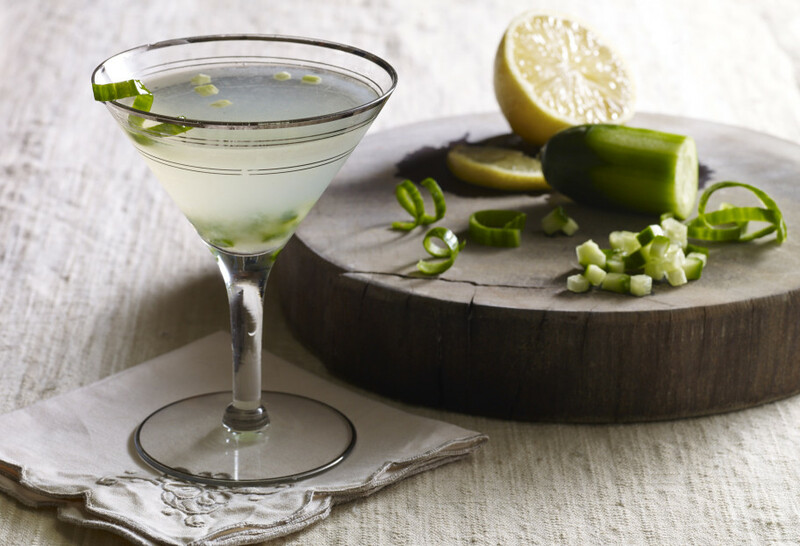 Decorate the martini with the small pieces of cucumber and a spiral of cucumber skin.